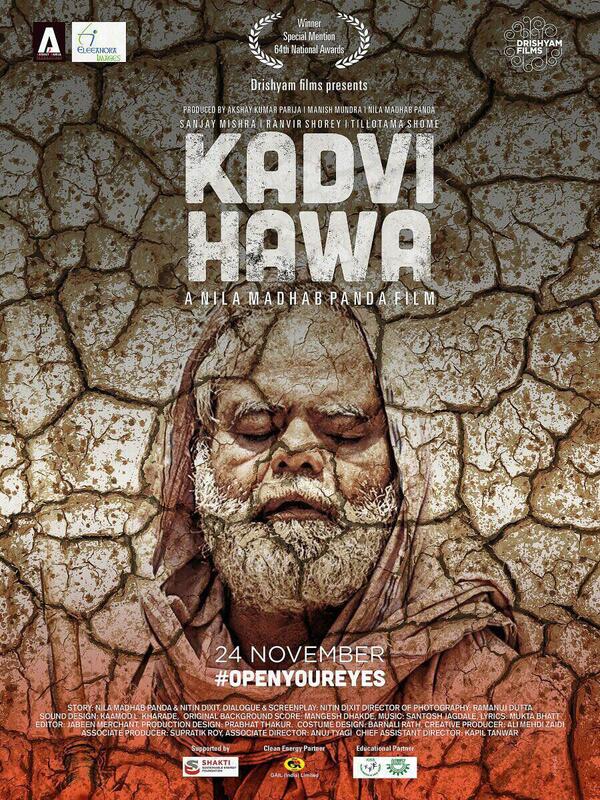 The upcoming film Kadvi Hawa trailer has released now. This fim is being directed by by Nila Madhab Panda, and produced by Drishyam Films, Akshay Parija and Nila Madhab Panda. The film is based on climate change. This film is going to release on 24 November 2017. The film also got a Special Mention at the 64th National Film Awards held on 7 April 2017. Sanjay Mishra, Ranvir Shorey, and Tillotama Shome are playing main lead role. The trailer of this film shows the dark side of climate change, People are struggling for water, villagers are facing immense problem. In this film one man is struggling due to lack of water. This is the very impressive trailer.